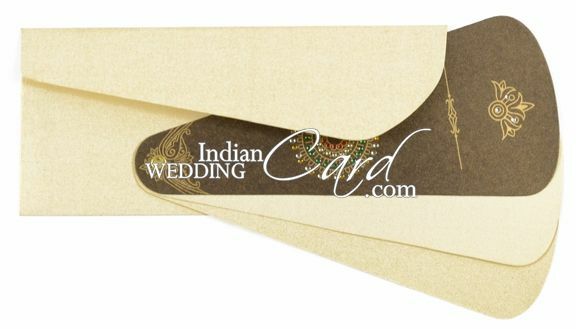 D-2882, Brown Color, Shimmery Finish Paper, Odd Shape Cards, Light Weight Cards, Designer Multifaith Invitations, House Warming, Engagement Invitations. 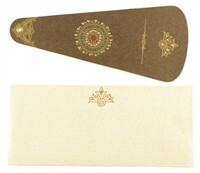 Shehnai shaped card. A combo of shimmery finish bronze and cream paper.